This little package has so much fun inside. 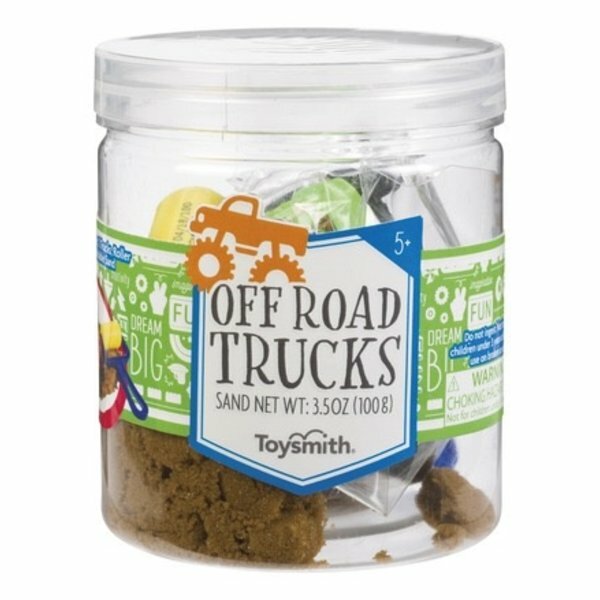 Rip and roll mini trucks over moldable sand! 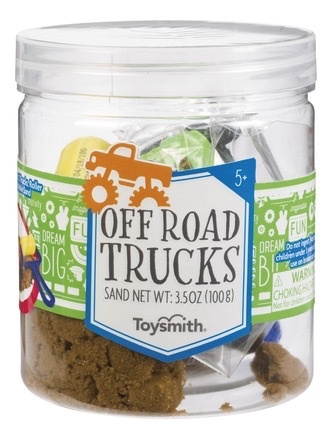 Comes in a 4" jar perfect for storage and on the go.